Apparently, every month brings forth a new theory on the demise of the Neanderthals – the cookies one being that bunnies were the main culprit. 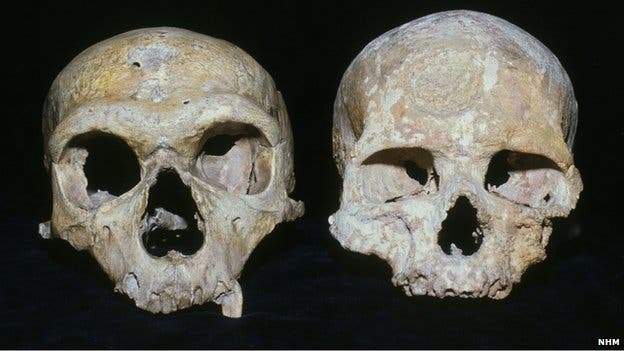 This month’s theory claims that the Neanderthal skull has larger eye sockets than the human one, therefore it had bigger eyes, therefore the brain spent more of its processing power to process visual images. So the conclusion is that while we used our brains to deveop clothers and slowly figure out the world we were living in, their brains were more focused on image processing. The research team explored the idea that the ancestor of Neanderthals left Africa and had to adapt to the longer, darker nights and murkier days of Europe. The result was that Neanderthals evolved larger eyes. Meanwhile, people who were still living in Africa enjoyed bright, beautiful days, and had no need to adapt to hunting in darker conditions. “Since Neanderthals evolved at higher latitudes, more of the Neanderthal brain would have been dedicated to vision and body control, leaving less brain to deal with other functions like social networking,” she explained. “We infer that Neanderthals had a smaller cognitive part of the brain and this would have limited them, including their ability to form larger groups. If you live in a larger group, you need a larger brain in order to process all those extra relationships,” he explained. According to them, even small differences could provide Homo sapiens the edge over their evolutionary cousins. 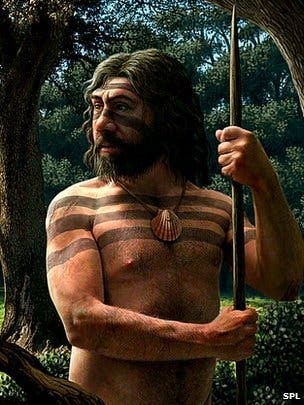 Neanderthals were very smart and adaptable, but they laked the edge when compared to our species. “They were very, very smart, but not quite in the same league as Homo sapiens,” he said. “That difference might have been enough to tip the balance when things were beginning to get tough at the end of the last ice age,” he said.